This message is for all those who have taken the time to view the Collateral Damage Project (interim) exhibit now at Nova Scotia Community College, Burridge Campus in Yarmouth. I look forward to your feedback as this not only helps with future exhibits but it also helps to guide the Collateral Damage Project in the right direction. 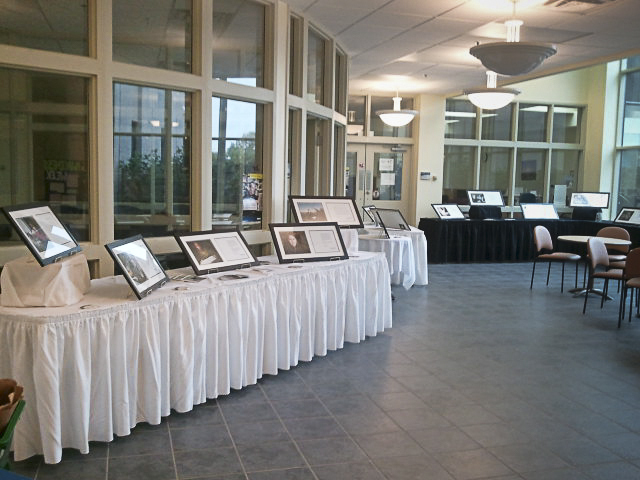 Thank you for taking the time to view the Collateral Damage exhibit. Your Collateral Damage exhibition is on display at our school and I was both moved and grieved by it. I am a suicide survivor. My brother committed suicide on January 12, 1993. It will be 19 years this January and it still feels like yesterday. I’ve had to put his death on the back burner as it was something too difficult for me to explore. The most difficult part of dealing with his death was trying to answer the “whys”. My brother was more than just a brother to us. He was also a father and a friend. His funeral felt very much like putting three people to rest. Since his death, I’ve also lost 2 sisters to cancer. I often feel very much alone in this world. However, hind sight has provided me with some great insight into the lives of my siblings and also in the growth of my own life. During the initial shock (and for some people, a great deal of time later) it is difficult to find any solace in death. It is hard not to ask “why” it is even harder to find an answer to the whys. For me, I have opted to let go of the whys and try to find a way to heal. The loss of my siblings is what prompted me to return to school and help others suffering similar loss. It was the absolute best decision I have ever made. I still have not found any answers to the “whys” but what I have found is the ability to help others weather their storms. It has been the best healing. It is also so very important to share our story with others because there are so many people affected by mental illness and the number of people who die by suicide is alarming. Thank you for the courage it took you to begin Collateral Damage.